Quick-Step Floors won the team time-trial on the opening stage of the inaugural Adriatica Ionica to put Elia Viviani into the leader's jersey. Mark Cavendish's Dimension Data team came fourth. The British sprinter, who has won 30 stages in the Tour, is aiming to build up his form before this year's race. 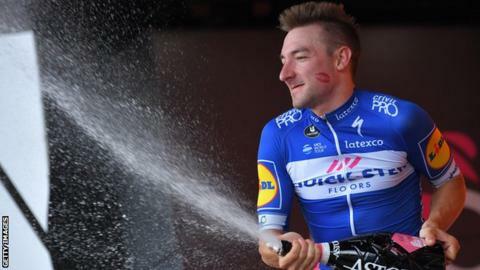 Italian sprinter Viviani will wear the leader's jersey for Thursday's second stage, a 152km route from Lido di Jesolo to Maser that is expected to finish in a bunch sprint.